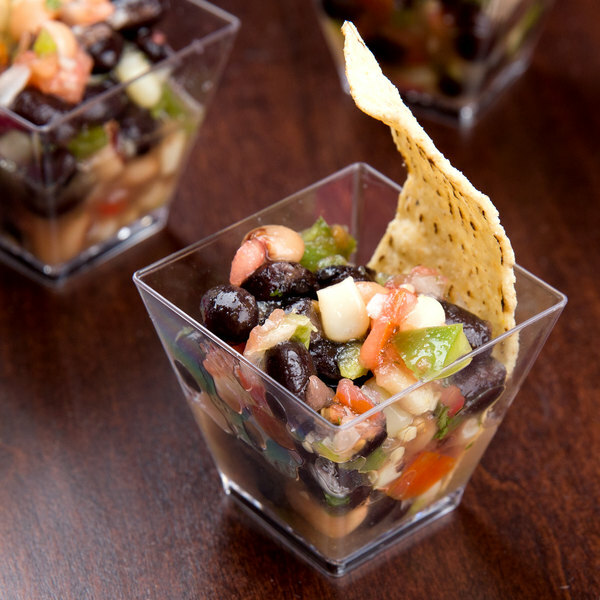 Present petite samples of savory soups, delicate desserts, and more in this clear Fineline Tiny Temptations 6411-CL 2 oz. 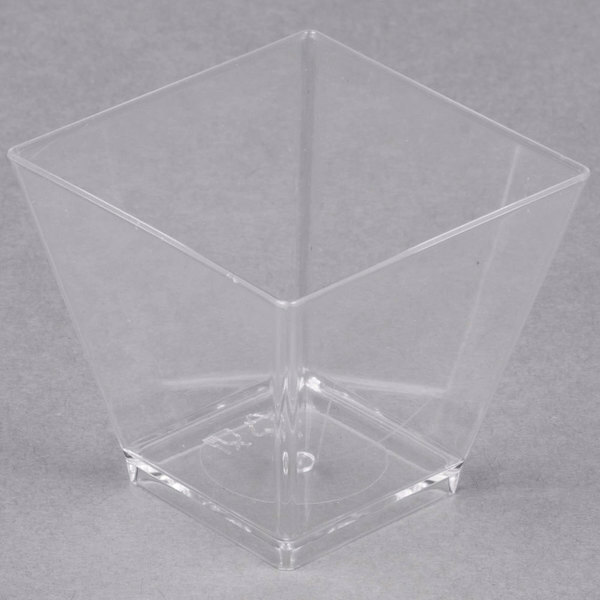 Tiny Barware clear cube bowl! 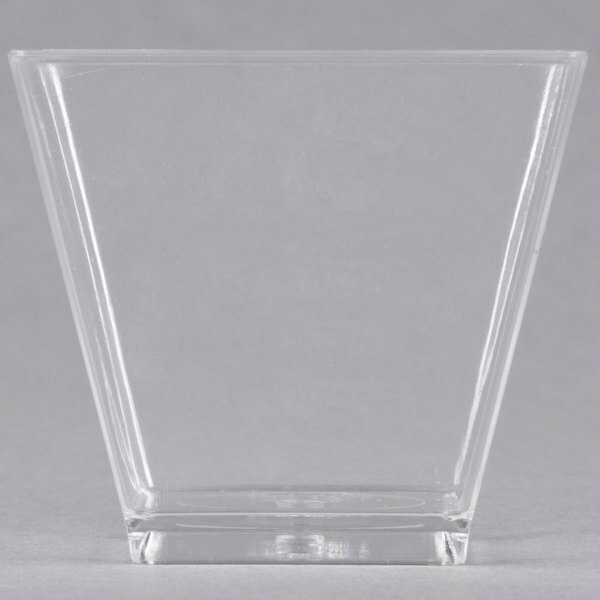 Made of disposable plastic, this lightweight, crystal clear bowl provides the perfect setting for trendy appetizers or succulent sauces, and its cube silhouette adds a fresh angle to traditional service. From catered events to cocktail parties, Tiny Temptations' sleek, modern design will refashion every meal into a stylish occasion. These cups are perfect for our mousse cups. We most recently used them for our pumpkin spice mousse! They look beautiful when displayed and are very sturdy. They also show off our product perfectly. Used these cups for fish ceviche appetizers. 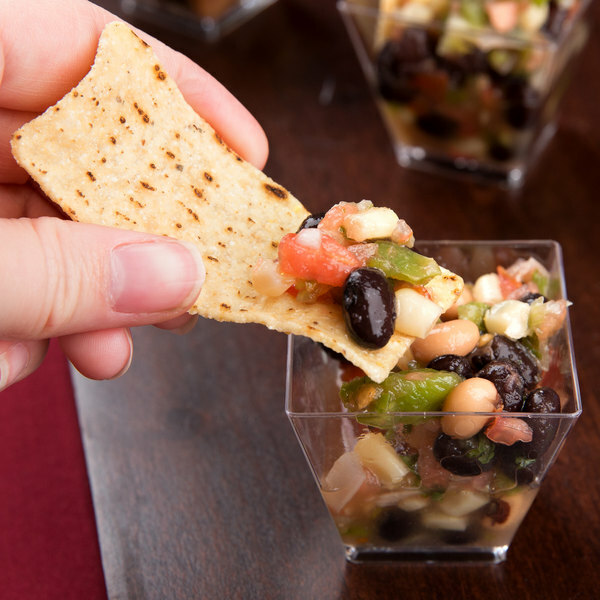 They are just the right size to put something for passed hours d' oeuvres in them and gives a great presentation. They are not flimsy so they held up pretty well. 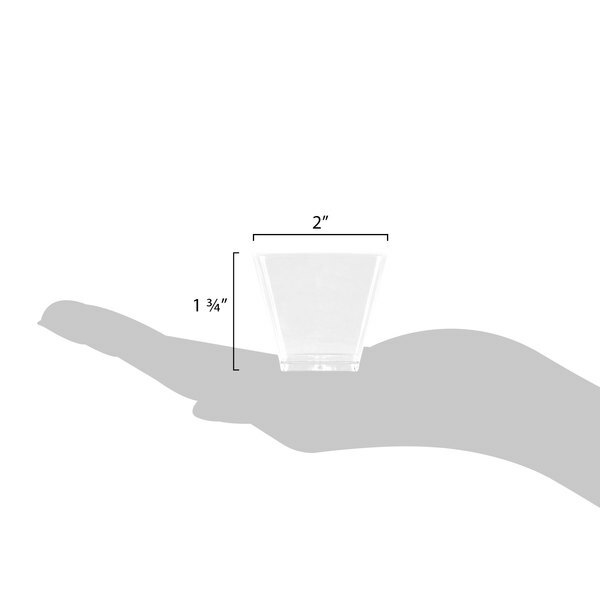 Perfect little cup for mouse or layered dessert for a sampling. Love the shape of this! 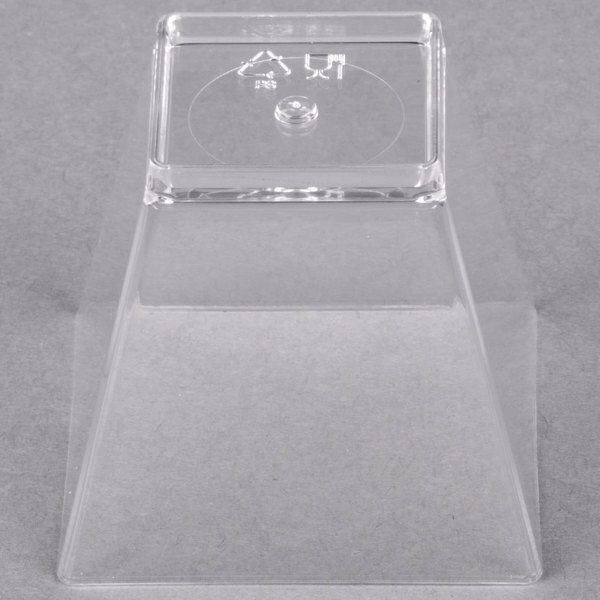 The clear plastic makes all your layered desserts look amazing in these! We ordered the Fineline Tiny Temptations 6411-CL 2 oz. 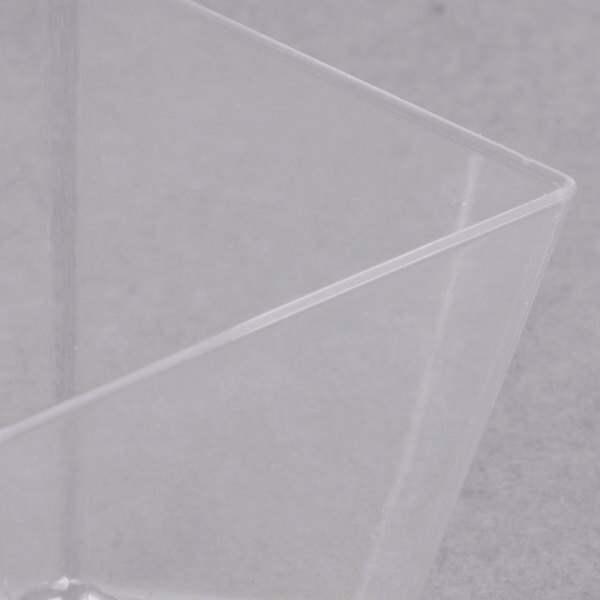 Tiny Barware Clear Plastic Cube Bowl - 20/Pack for our desserts at our wedding. We put a few various berries in each and it was a cute little presentation. These were a bit smaller than I anticipated. But we love the way they look. Almost can't tell that they are plastic! 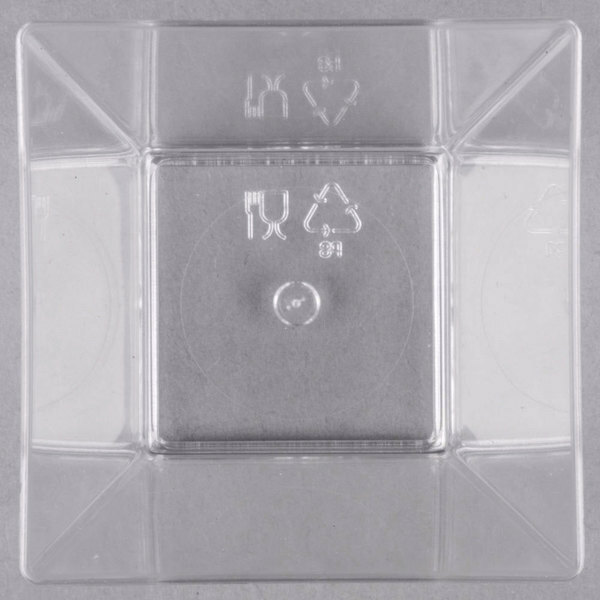 Perfect to use and throw away, but sturdy enough that you can reuse them if you'd like.